By voluntarily enrolling in the Merrell® Work Backup Bed Program (the “Backup Bed Program” or “Program”) Eligible Consumers (“Members” or “you”) agree to be bound by these Terms and Conditions (the “Program Terms” or “Terms”). The Backup Bed Program and its benefits are offered at the discretion of Merrell. Merrell reserves the right, without limitation, to terminate, change, limit, modify, or cancel any Program rules, regulations, benefits, or conditions of participation at any time, with or without notice, even though such changes may affect the value of already accumulated qualifying purchases toward replacement footbeds. You waive any right you may have to receive specific notice of such changes, and your continued participation in the Program will constitute your acceptance. You should therefore periodically visit Merrell.com/BackupBed to review the then-current Terms to which you are bound. The Merrell Work Backup Bed Program is sponsored by Wolverine World Wide, Inc. (“Merrell”). Purchase of Merrell Work footwear is required for participation in the Program. One (1) unique code will be provided for each pair of Merrell Work footwear purchased. This unique code must be used when registering for the Backup Bed Program. The unique code is good for one (1) time use only at merrell.com. Eligible Customers will receive a promotional code per each unique code registered which Eligible Customers must use when ordering the free footbed replacement, plus a $5.00 fee for shipping and handling. Promotional codes may be used in conjunction with other Merrell coupons, certificates, discounts, or offers toward the purchase of Merrell products and are subject to the terms and conditions of those coupons, certificates, discounts, or offers. Unique codes are not transferrable, have no cash value and no change/currency will be given for unique code redemption, and may not be combined with pro-deal discounts. Members may be notified of additional ineligible products and services. Backup Footbeds will be delivered by U.S. Mail, subject to a $5.00 shipping and handling fee, to the Member's mailing address provided at the time of ordering. The S&H fee will be waived if you purchase any other Merrell product on merrell.com when you order your footbed replacement. Replacement footbeds may be ordered approximately six (6) months post registration. Please allow time for delivery. An email containing a promotional code which can be used to order the footbed replacement via merrell.com will be sent approximately one (1) month prior to the time when the footbed replacement may be ordered. 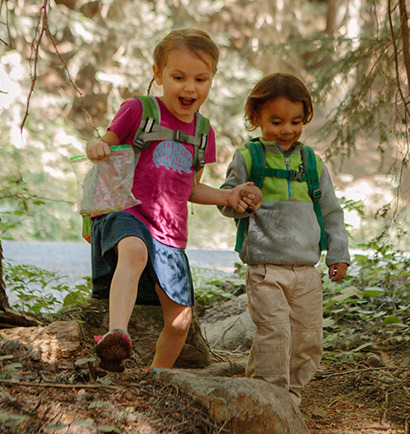 Members must maintain an accurate mailing address, e-mail address and other information with Merrell. Merrell is not responsible for late, misdirected, misdelivered, or undelivered mail or for incorrect addresses and other contact information on file. The Backup Bed Program is open to consumers who are legal residents of the 50 United States and the District of Columbia who are 18 years of age or older, excluding employees of Wolverine World Wide, Inc., its affiliates and their immediate family who live in the same household ("Eligible Consumer"). By registering and participating in the Program, you (i) represent that you are an Eligible Consumer and (ii) accept these Program Terms and Conditions. Your enrollment is non-transferable and is subject to present and future Program Terms. These Terms are void where and to the extent prohibited by law. 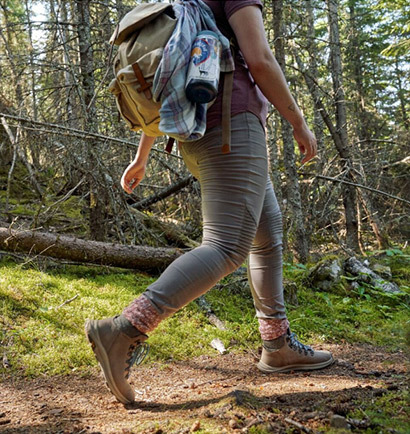 There are two ways Eligible Consumers may enroll in the Program: (1) through online enrollment at merrell.com/backupbed and entering a unique code found on the boxlid of the purchased footwear, or (2) by calling customer service at 1-800-299-6575 and providing the unique code found on the boxlid of the purchased footwear. Governing Law. These Program Terms shall be governed by and interpreted under the laws of the State of Michigan, U.S.A. without regard to any conflicts of laws provisions. The Program is void where prohibited by law. Merrell reserves the right to interpret and apply the policies and procedures communicated in these Program Terms in its sole discretion, subject to applicable law. All determinations by Merrell will be final and conclusive in each case. These Terms supersede all previously published Terms in their entirety. Unauthorized Use of the Merrell Backup Bed Program. Abuse of the Backup Bed Program, including failure to follow Program policies and procedures, and any misrepresentation of fact relating thereto or other improper conduct as determined by Merrell in its sole judgment may result in cancellation of a Member's replacement footbed and future disqualification from Program participation, forfeiture of all qualifying purchases accrued, and cancellation of previously issued but unused unique codes. Merrell in its discretion may prosecute abuse of the program to the fullest extent of the law. Merrell reserves the right, at its sole discretion, to adjust account status due to computer error, machine malfunction, employee, customer or other error, fraud or other misuse of the Program. Unique codes for replacement footbeds are not transferable and may not be combined among consumers or conveyed by any means to anyone. 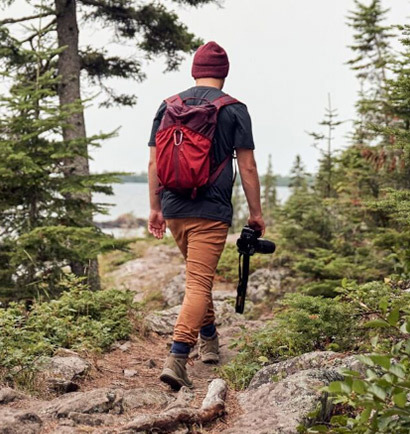 Merrell reserves the right to make other promotional offers available to select consumers based on purchase activity, geographic location, Program participation, and/or information supplied by the consumer. Merrell reserves the right to add, withdraw, amend, or otherwise change opportunities at any time at its sole discretion, with or without notice to consumers. Disclaimer. MERRELL MAKES NO WARRANTY, EXPRESS OR IMPLIED, INCLUDING, BUT NOT LIMITED TO, ANY WARRANTIES OF MERCHANTABILITY OR FITNESS FOR A PARTICULAR PURPOSE WITH RESPECT TO THE PROGRAM OR ANY PRODUCTS RELATED TO THE PROGRAM. Intellectual Property. The Merrell logo, Merrell Work logo, and other logos and taglines are the intellectual property of Merrell and you cannot use Merrell’s intellectual property without our express written consent. Nothing in these Terms shall be deemed any license in or to any of Merrell’s intellectual property. Informal Claim Resolution. You and Merrell each agree that any and all disputes, claims, causes of action, or controversies arising out of or in connection with these Terms, the Program, or your participation in or inability to participate in the Program (“Claims”), shall be resolved through binding arbitration pursuant to the American Arbitration Association (“AAA”) in accordance with the AAA Commercial Arbitration Rules and Supplementary Procedures for Consumer-Related Disputes. YOU UNDERSTAND AND AGREE THAT YOU ARE GIVING UP YOUR RIGHT TO GO TO COURT AND LITIGATE ANY CLAIM AND THAT OTHER RIGHTS THAT YOU MIGHT HAVE IF YOU LITIGATED A CLAIM IN COURT MAY NOT BE AVAILABLE TO YOU IN ARBITRATION. THE ARBITRATOR’S DECISION WILL BE FINAL AND BINDING. ALL CLAIMS MUST BE BROUGHT ON AN INDIVIDUAL BASIS WITH NO CLASS RELIEF. The arbitrator may not consolidate more than one person's Claims, and may not otherwise preside over any form of a representative or class proceeding. The arbitrator's authority to resolve Claims is limited to Claims between you and Merrell alone, and Claims brought by either party against the other may not be joined or consolidated in arbitration with Claims brought by or against any third party, unless agreed to in writing by all parties. No arbitration award or decision will have any preclusive effect as to issues or claims in any dispute with anyone who is not a named party to the arbitration. Any arbitration hearings will take place in the county of your residence. The AAA rules are available on line at www.adr.org or by calling the AAA at 1-800-778-7879. Any notice of arbitration shall be sent to: General Counsel, Wolverine World Wide, Inc., 9341 Courtland Drive NE, Rockford MI 49351. Notwithstanding anything to the contrary in this Agreement, and without waiving either party's right to appeal such decision, should any portion of this paragraph be deemed invalid or unenforceable, then the entirety of this paragraph (other than this sentence) shall be null and void. If the agreement to arbitrate is deemed unenforceable then individual claims shall be brought either in the state or federal courts located in or nearest to Grand Rapids, Michigan. If any provision of the class action waiver is deemed unenforceable individual claims will still be subject to arbitration and any purported class action shall be brought in the United States district court located in or nearest to Grand Rapids, Michigan.